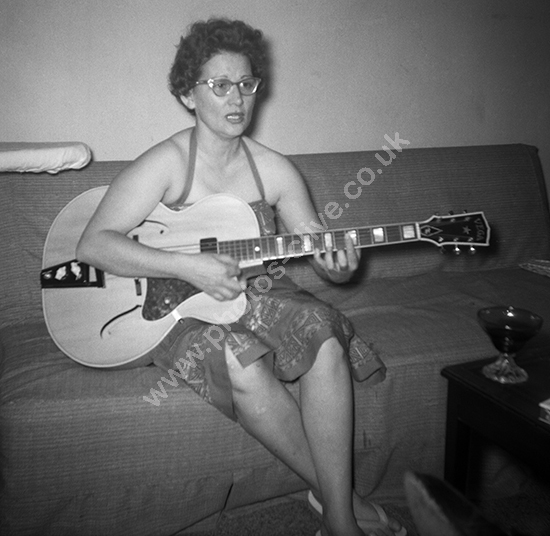 Lady in 1950s finger picking a Vega guitar model is D-46 Duo-tron. For commercial use of this photo, including use on another website, please visit Alamy.com and search for M5JJD9 . For a one-off print please see below.